This post will concentrate on that shack standing in the middle of endless rugged nature, called “en hytte”. Many Norwegian families will own a hytte, with more fortunate families often owning two, one for Summer and one for Winter (for snowsport-related fun). 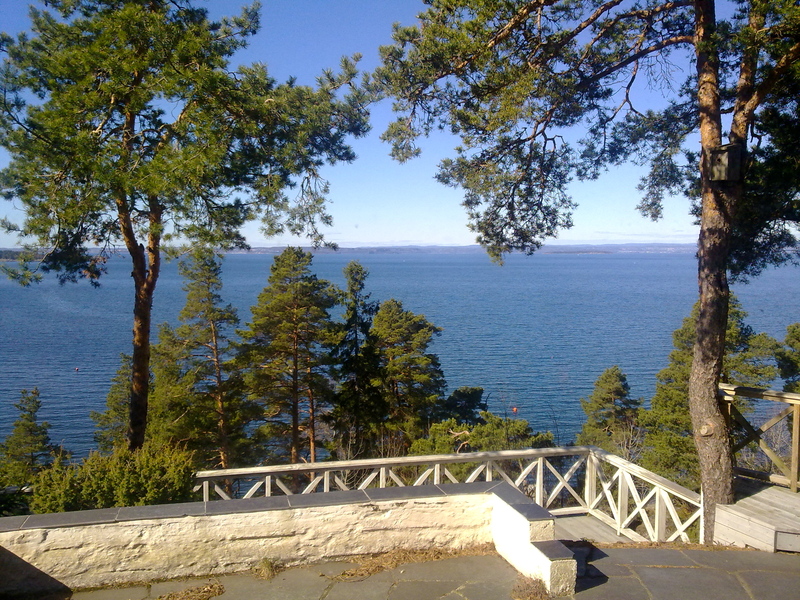 I will concentrate on the Summer hytte in this post. Talk to any Norwegians about nature and they will tell you that they love nothing better than getting back to basics and visiting their hytte or cabin away from all the stress and bustle of life. For the entirety of July and the beginning of August Oslo and most Norwegian cities will empty out, leaving just a skeletal crew to man major headquarters, governmental offices and shops. The cities are deserted but for tourists, ex-pats and the party-swedes (those who staff the bars throughout Summer). So where does everyone go? They mostly head to their “Sommer hytter”. These can range from what I would consider a basic UK garden shed to a mansion with boat moorings on private islands. This is the time when all Norwegians “reconnect” with nature, living simply, a lot of the time away from mobile phone signals, the interruptions of the Internet and any associated stress. The Summer hytte is not somewhere were you ask your host for a skinny latte! This is a strong black coffee zone, so toughen up and get used to it. You’re lucky if the toilet is inside and a warm shower is something that works when it wants to. When at the hytte your host will always suggest a variety of activities depending on the adjoining landscape and the phrase “ut på tur, aldri sur” is used a lot. This roughly translates as “when out for a hike, you’re never bored”. The Norwegians are not wrong, it must be said. Evidently as a dog-walker I love being out in nature and a good hike. However the hytte is normally set about 10km minimum from a shop, yet in beautiful surroundings, with breath-taking views. Depending on your choice of hytte and your personal comfort levels it takes some people varying amounts of time to adjust to hytte-lifestyle. This is a true throwback to previous centuries where dinner can be cooked over campfires, wood-burning stoves could well be your only source of heating and mosquito bites are counted in their tens or even hundreds! But get over that initial adapting period and you will soon forget facebook, sports scores, skinny lattes and the things you may think are “vital” to daily life……….. and it is truly refreshing!